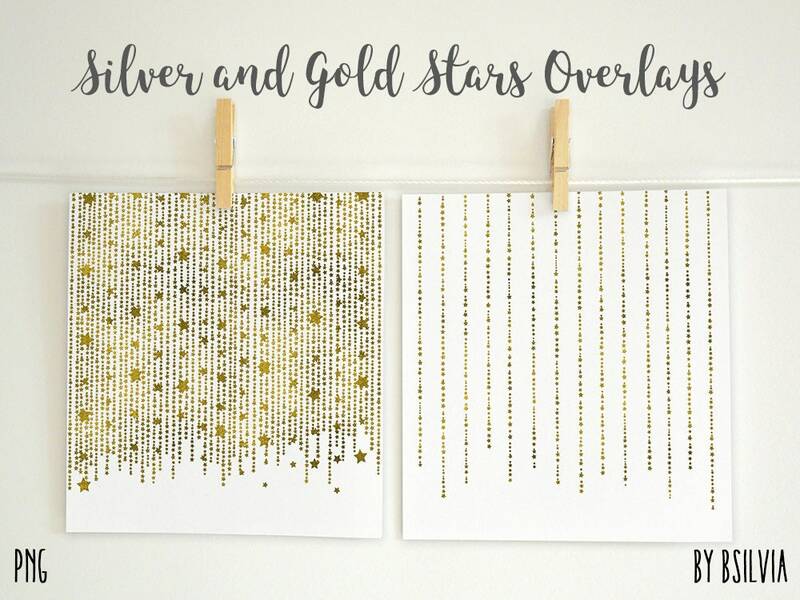 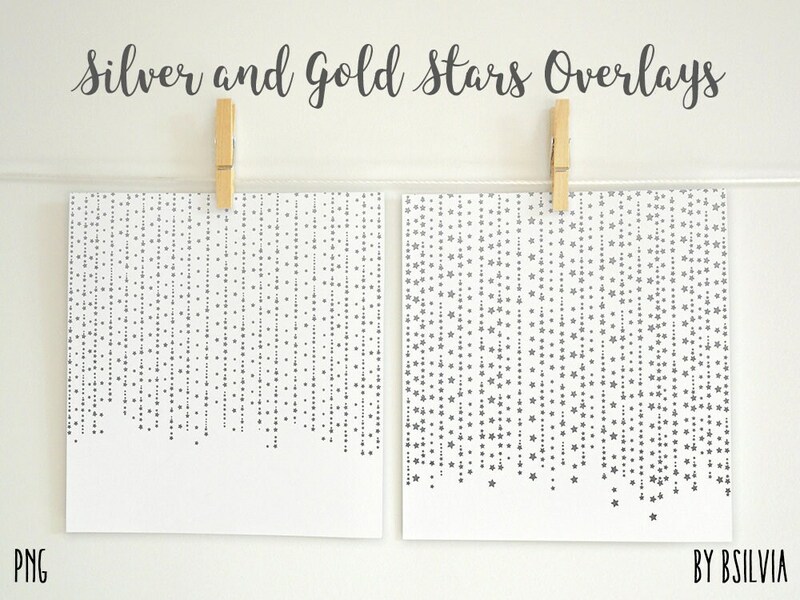 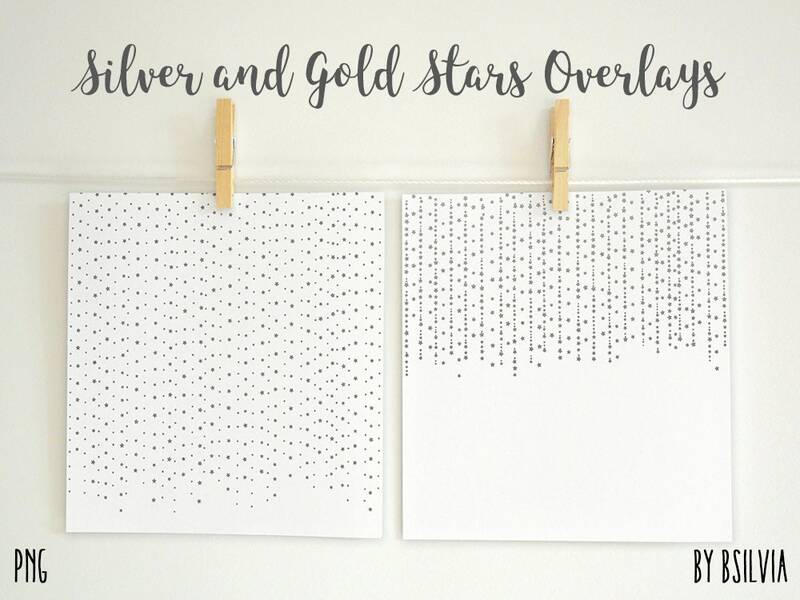 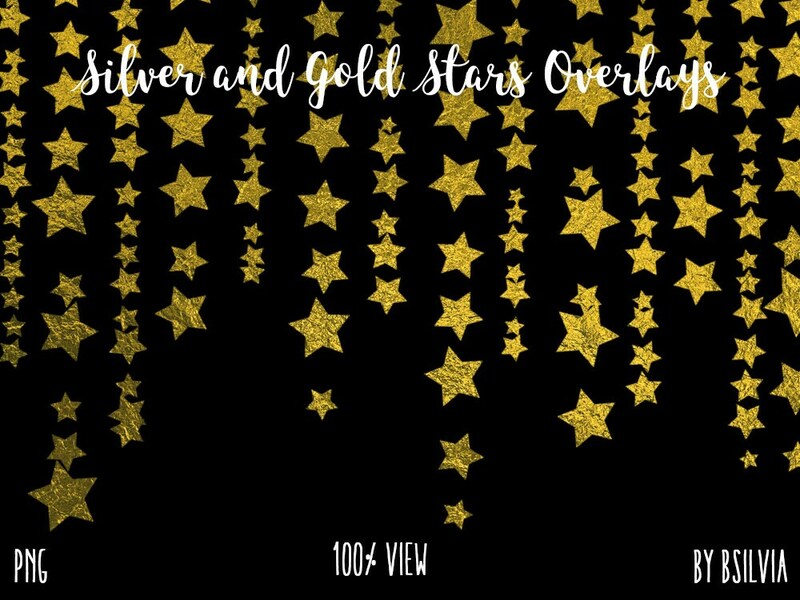 Silver and Gold Stars Overlays Pack is great for scrapbooking, DIY party crafting, invitations, labels, cards or gift wrapping. 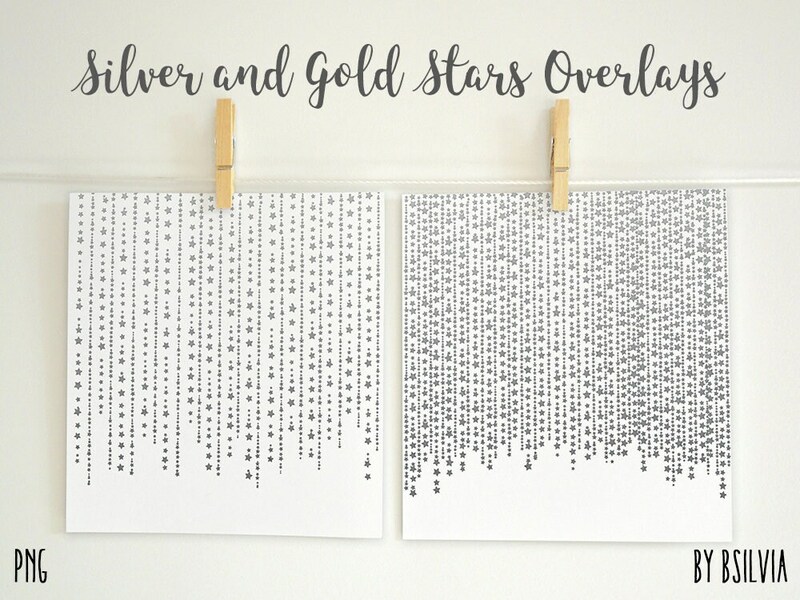 Great for placing underneath or above a photo, product or card, wedding invitation, parties and celebrations. 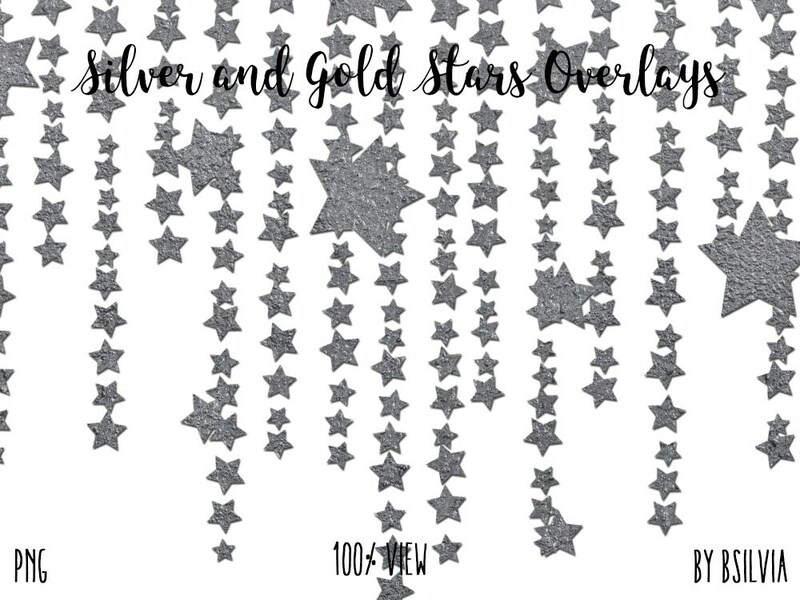 They are PNGs with transparent backgrounds - Photoshop transparent overlays - can be used against light or dark backgrounds.